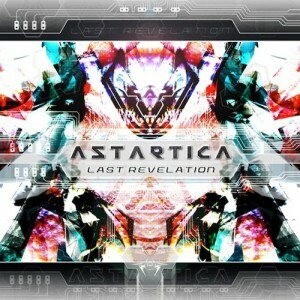 Last Revelation marks the third full-length album of Astartica, and is considered the capstone release of his work so far. This release provides an insight into the musical and technical state of the lab while we enter a new era. Last Revelation is a journey from pounding full-on to twisted night-psy, made from elements from the old-school and new-school. Mastering and Artwork by Alex Steger, Astartic Laboratory, Austria. MP3 Download | FLAC Download | WAV Download · Download count: 8,566. Have you changed compression method again? This is the third album in a row that I’m unable to either extrac och play when extracted. This album has great sound. Sounds super clean, super deep. Peter, can you give me more information on the problem you’re having? What package are you having trouble extracting? FLAC, WAV, MP3? What tools are you using to extract and play your packages? The FLAC and MP3 files are created using the FLAC command-line tools and a LAME encoder, respectively, and the WAVs are also created using the FLAC command-line tools to decode them. The packages are zipped using the default OSX zip utility, and the WAV package is RARed using the *nix command-line rar utility. Send me an email at [email protected] if you continue to have trouble. The previous album Naspa is working now but I can’t play this one and not Drakphaser in Windows Media Player. The problem is probably on my side but I just can’t figure out why. I’m not doing anything new and I’m only using standard things like Windows 7 and the built in standard extraction tool for the MP3-archives. Glad I discovered this. Really enjoying it.